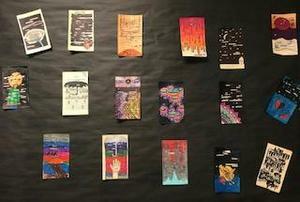 7th Grade ELA Blackout poetry contest winners. We have heard you, and we’re excited to announce we have a new uniform partner! 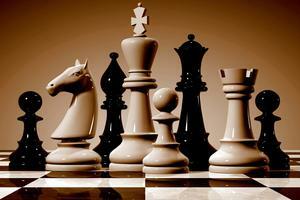 Life School selects a new uniform partner. Download the physical and medical history forms that are needed for athletes. Interested in Working for Life School? Our annual career fair is just around the corner. 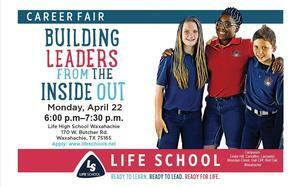 Come out and join us from 6:00 PM to 7:30 PM on Monday, April 22nd at Life High School Waxahachie. Representatives from all of our campuses will be present and ready to meet you! Life School Central Office and all campuses are closed on Friday April 19, 2019. Life School Central Office and all campuses are closed on April 19, 2019 and will resume on Monday April 22, 2019. Call 469-850-5433 for a phone interview for a substitute position. Apply online at www.lifeschools.net. Start working as early as next week!